(CNN) Italian center-left Prime Minister Matteo Renzi said he will resign on Monday, after conceding an “extraordinary clear” defeat on an Italian constitutional referendum. 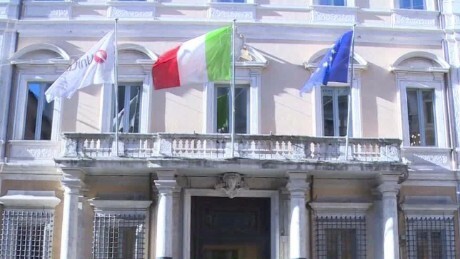 “Tomorrow the President of the Republic will have a meeting with me and I will hand in my resignation,” Renzi said. “I take on full responsibilities for defeat and so I say I lost, not you,” he told supporters. The defeat of the referendum was resounding, with nealy 60% of voters saying “no.” It is considered a win for eurosceptic populist and nationalist parties in Italy, which campaigned heavily against Renzi and his promise to stimulate Italy’s sluggish economy. “When you lose you cannot pretend that nothing has happened and go to bed and sleep. My government ends here today,” Renzi said. Itatly’s President will decide what to do next. He could piece together a government out of the current Parliament or call for general election in which the anti-establishment Five Star Movement party, led by comedian Beppe Grillo, is expected to make great gains. Read more: Who is Beppe Grillo? The referendum also came amid fears of a wave of populism spreading across Europe. France’s National Front party leader Marine Le Pen took to Twitter. “The Italians have rejected the EU and Renzi. We must listen to this thirst for the freedom of nations and for protection!” she said. There are fears the results of the vote could further shake up the country’s financial stability, considering that its banks are already downing in bad debt. CNN’s Sheena McKenzie, Azadeh Ansari , Alexander Felton, Nic Robertson, Nina Dos Santos and Marilia Brocchetto contributed to this report.